NES customers benefit from a full review of energy consumption/efficiency options and their reduced operating costs compared to utility bills. This review is based on site and building-specific energy use details, and benefits both existing buildings and new building projects. Analysis of actual or projected building energy consumption, including current/alternative utility rates in both regulated and unregulated markets. Computer modeling of energy use, cost and building design with comprehensive software certified by U.S. Department of Energy labs. Review of a building’s current energy efficiency components identifies potential improvements to lighting, HVAC and the building envelope. Identify the best package of new, complimentary energy efficient building improvements, while maximizing incentives and ROI. Identify potential onsite power systems that could produce significant reductions in power costs, while providing backup power in cases of grid outages. 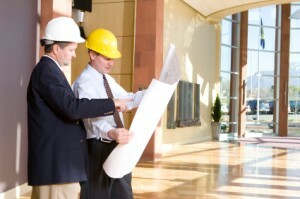 For new developments, confer with building design teams on energy efficiency and onsite power systems that improve ROI. Focus on energy use reductions and sustainable materials/operations. Prioritize by cost savings, operations impact and proven experience. Perform the Cost Segregation Studies needed to identify the energy equipment/installation costs that qualify for tax incentives.